Oliver Super 44, Super 55, 66, Super 66, 77, Super 77, 88, Super 88, 440, 660. 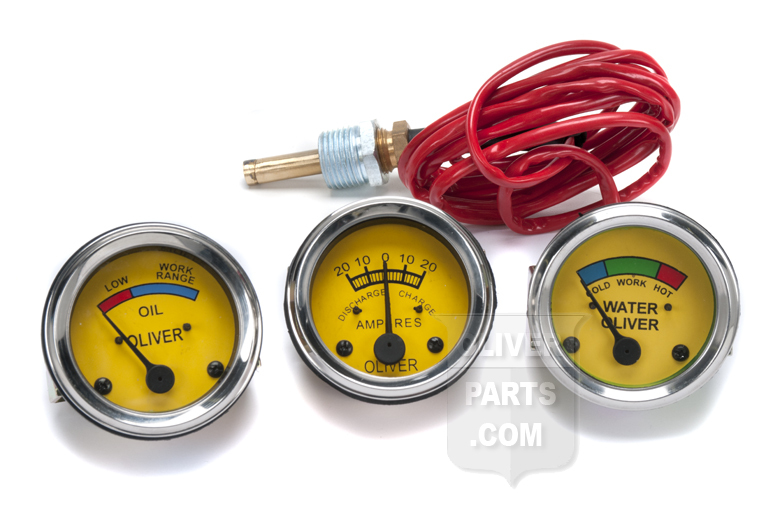 These gauges feature a 6 volt light inside of them, so you can see clearly on those early mornings! The temperature gauge has a 70" capillary lead.